A 1950 scene at Crestwood Hills, site of one of the most significant postwar modern residential developments in Los Angeles. The architectural team there was headed by A. Quincy Jones, who would soon make his mark with Eichler Homes throughout California. This is part two of a two-part story introduced in the Winter '17 issue of CA-Modern magazine. Part one, which is archived here, explores distinguished architects of Northern California. This one focuses on SoCal. Orange groves dotted the landscape, oil was being pumped in Beverly Hills, movie studios were recently established, and most residential tracts were fields of dirt. But by the 1920s modern houses were popping up in the Los Angeles basin, making the Southland as crucial a birthplace for the modern movement as Paris, Stuttgart, Barcelona, or Spring Green, Wisconsin. Through the 1920s, when modern architecture came into its own, no other corner of America came close to Los Angeles in contributing to its development. It's easy to focus on the backgrounds of the architects behind many of these early homes—Rudolph Schindler and Richard Neutra from Austria, Albert Frey from Switzerland, J.R. Davidson from Berlin—and think, well, Southern California was just importing European ideas. 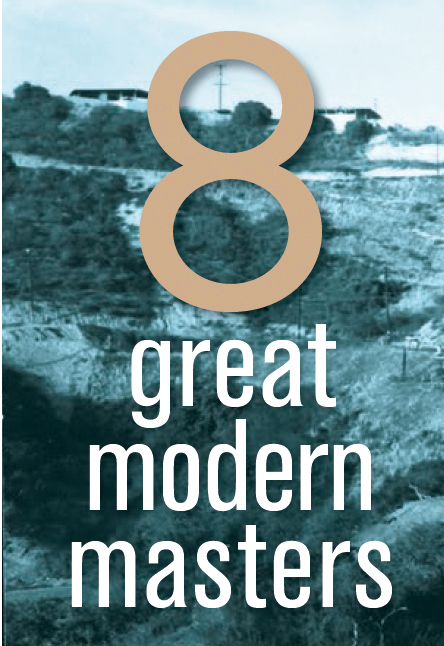 But Americans too were getting into the modernist act, including the man from Spring Green, Frank Lloyd Wright. And, as European in origin as many of the newcomers were, Southern California's landscape, sunlight, and ethos quickly turned their designs into something very Californian. These were not men who came to California with fully developed styles. They came of age in the Los Angeles basin, the surrounding hills, and the desert. Nor were their styles purely European when they arrived. Wright had been a major influence in Europe at least since the publication of his Wasmuth Portfolio in 1910. And several architects who proved important in Southern California had worked for Wright, including Schindler and Neutra and, later, John Lautner. Both Schindler and Neutra arrived in L.A. to work for Wright. Modernism had important Californian roots as well, thanks to the influence of the whitewashed Spanish Colonial adobe ranches. Cliff May, a self-taught homebuilder who knew nothing of the European modern movement when he began building California-influenced ranch homes, created one important current that helped give Southern California modern architecture its distinctive flavor. Another progenitor of the modern was Irving Gill in San Diego, whose unadorned forms from the early 20th century, often in concrete, could suggest both Spanish Colonial and International Style while always projecting a look all their own. Author Esther McCoy emphasized the pull of the "southland, cradle of civilization," to creative types from more northerly climes. She quoted Neutra to that effect. "Like all Nordic barbarians," he said, "we want to go to sunny Hellas, or to the land where the lemon blooms and no icy storms trouble us." Americans of advanced thought were in California to welcome the modernists—no one more so than John Entenza, publisher of the magazine Arts & Architecture. 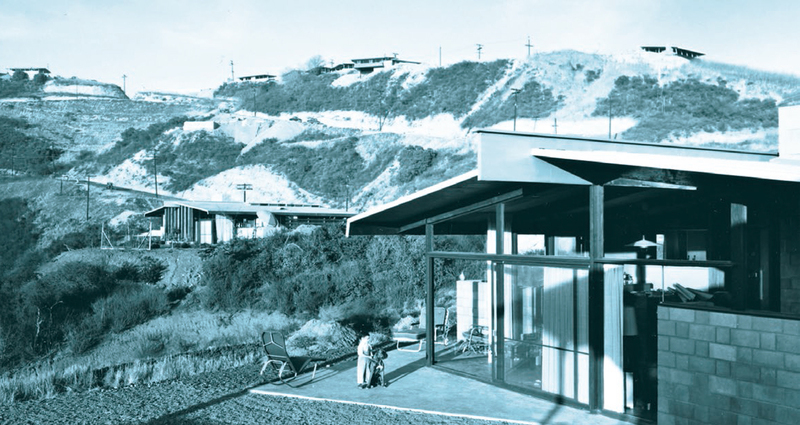 The magazine's Case Study House program brought the work of the modernists to the public. It helped set the Southern California style as one that was cool, promoted steel structure and prefabrication for ease of construction, and sought to provide good housing for all. The idea behind the Case Study House program was that each of the homes should in some way be replicable, a house that could serve many people, not just one family. Here are eight important architects who pioneered an international movement while giving Southern California modernism special meaning.